Born in Seoul, South Korea, Hee Seo began her ballet training in her hometown at the Sun-hwa Arts Middle School. She was awarded a three-year full scholarship to continue her training at the Universal Ballet Academy in Washington, D. C. In 2003, Seo won a scholarship to train at the John Cranko Ballet Academy in Stuttgart. She is the recipient of the 2003 Prix de Lausanne Award and the 2003 Grand Prix at the Youth American Grand Prix in New York. Seo joined ABT’s Studio Company in 2004 and the main Company as an apprentice in May 2005 and the corps de ballet in March 2006. Her repertoire with the Company includes Polyhymnia in Apollo, Nikiya, Gamzatti, a Lead D’Jampe and a Shade in La Bayadère, Cinderella in Frede4rick Ashton’s Cinderella, Twig in James Kudelka’s Cinderella, Prayer in Coppélia, Medora in Le Corsaire, Kitri, Mercedes, the Dryad Queen and a flower girl in Don Quixote, Glove Seller in Gaîté Parisienne, Giselle and Zulma in Giselle, Queen of Shemakahn in the Golden Cockerel, Pierrette in Harlequinade, Caroline in Jardin Aux Lilas, Olympia in Lady of the Camellias, Natalia Petrovna in A Month in the Country, Clara, the Princess and one of the Nutcracker’s Sisters in The Nutcracker, Tatiana in Onegin, Natalia in On the Dnieper, Other Dances, The Siren in Prodigal Son, Juliet in Romeo and Juliet, Princess Aurora in Ratmansky’s The Sleeping Beauty, Princess Aurora, the Lilac Fairy, the Fairy of Sincerity and Princess Florine in The Sleeping Beauty, Odette-Odile, the pas de trois, the Polish Princess and a big swan in Swan Lake, the Swan Lake, Act III Pas de Deux, the Sylph in La Sylphide, Prelude in Les Sylphides, Sylvia and Ceres in Sylvia, Thaïs Pas de Deux, Princess Tea Flower in Whipped Cream and roles in Ballo della Regina, Birthday Offering, The Brahms-Haydn Variations, Chamber Symphony, Dark Elegies, Drink to Me Only With Thine Eyes, Duets, From Here On Out, The Leaves Are Fading, Monotones II, Mozartiana, Overgrown Path, Raymonda Divertissements, Seven Sonatas, Serenade after Plato’s Symposium, Thirteen Diversion and Valse Fantaisie. She created leading roles in AFTERITE, I Feel The Earth Move and With a Chance of Rain. Seo was appointed a Soloist in August 2010 and a Principal Dancer in July 2012. She has appeared as a guest artist with the Mariinsky Ballet dancing the title role in Giselle and Princess Aurora in The Sleeping Beauty. Ms. Seo’s performances with American Ballet Theatre are sponsored by Pamela and David B. Ford and Vicki and Lloyd Goldman. 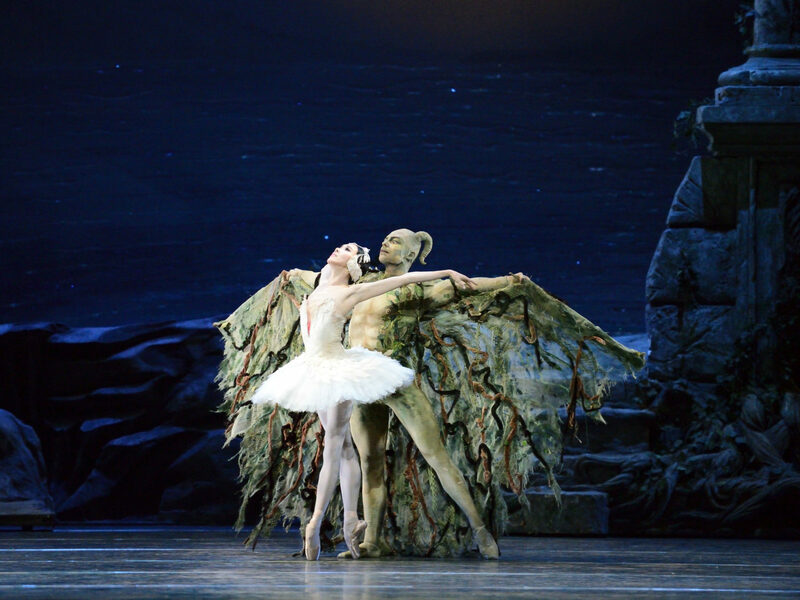 Hee Seo and Roman Zhurbin in Swan Lake. Hee Seo in Other Dances. Hee Seo in Les Sylphides. Hee Seo in La Bayadère.